After the arrest (and trial) of Shepard Fairey, which caused quite an uproar in the world of street art, another legendary artist has been apprehended by the police. 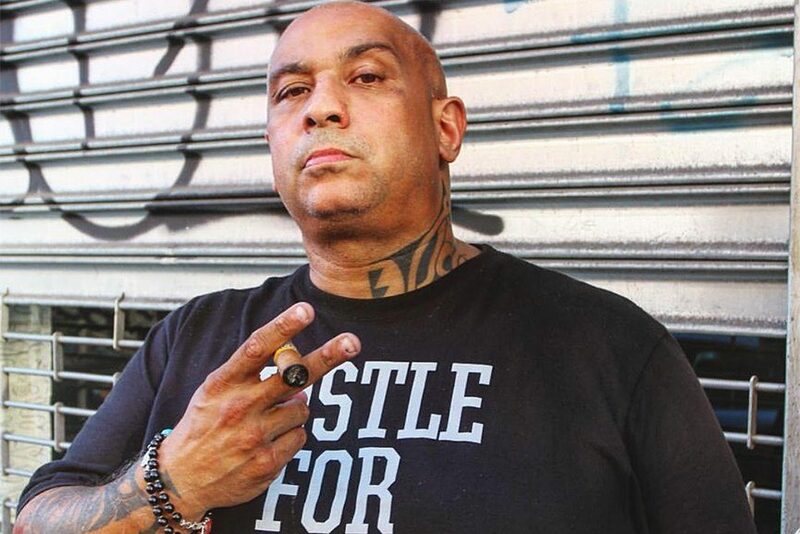 Cope2, known for being a renegade, has been arrested at the Bowery Wall in New York, after an argument was initiated and come threats were being made. After the news broke, Fernando Carlo, aka Cope2, contacted Widewalls and explained what happened in an exclusive statement. As the story develops, we invite you to stay tuned, as we will be looking into it and reporting on it firsthand. 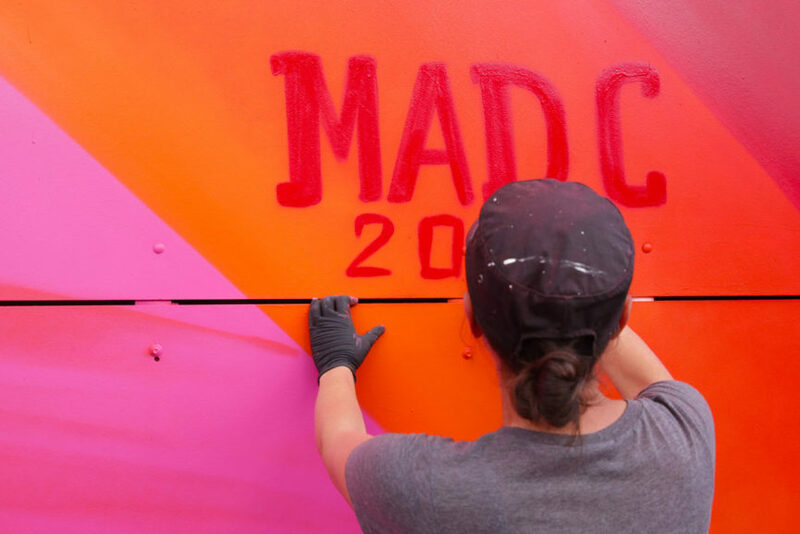 In other, more positive news, we will have the honour of hosting the amazing MadC as one of our guest writers. In the upcoming period, she will provide us with the exciting stories from her art life, and the first two parts of her chronicles are already on our page! 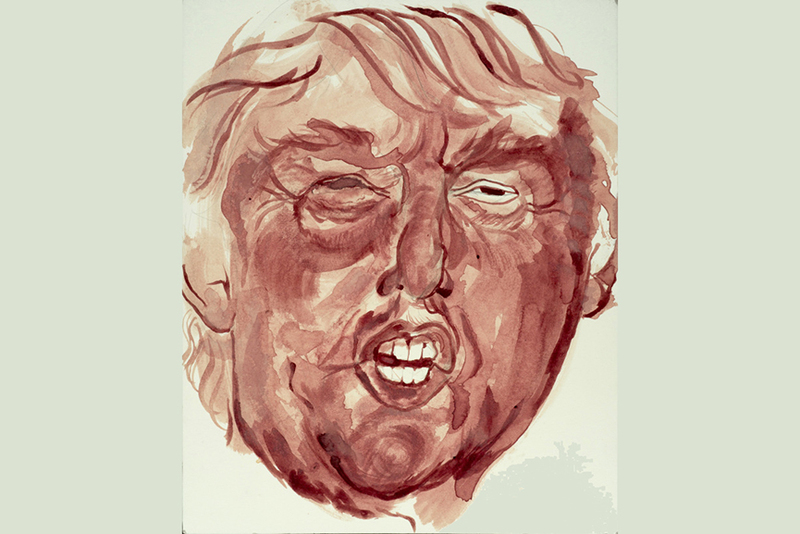 Another talented female artist, Sarah Levy, has also been busy creating artworks, only hers took Donald Trump as an inspiration, and her painting material is very much her own. 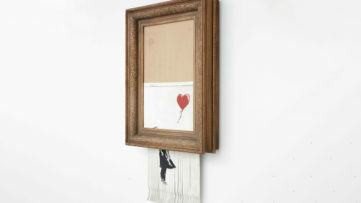 Finally, because Banksy’s Dismaland doesn’t already get enough attention in Weston-super-Mare, it had to move to London, where a significant number of artworks appeared on the streets, protesting a gun fair with aggressive messages and imagery. Scroll down and enjoy the highlights of the week behind us. Cope2 has been arrested recently, again. The incident occurred at the Bowery Wall, New York, while Futura was painting. The whole story is yet to be investigated and uncovered fully, but for now the allegations and claims suggest a heated argument went on between Cope2 and someone, some weapons may have been used, it remains unclear so far. The actual statement from the police is that the arrested artist has been threatening someone, which led to his apprehension. What happened? Read more in Cope2 Has Been Arrested ! In the light of the recent event that raised quite a bit of dust in the world of street art, and to follow-up on our previous article from September 14th, covering the story of Cope2’s arrest, we had the exclusive chance to be contacted by Fernando Carlo, Cope2 himself. The artist was part of an incident that took place at the Houston Bowery Wall while the legend Futura was painting his mural. 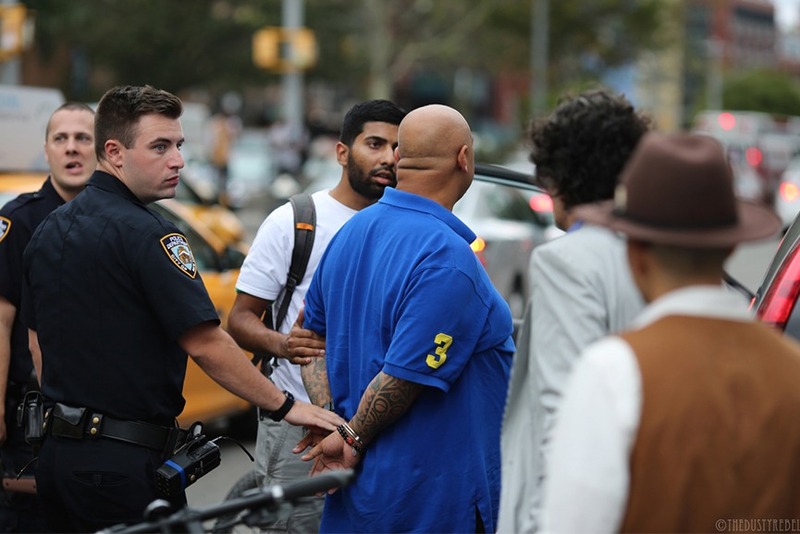 There were also other prominent names from street art present, such as Indie 184, and apparently, street artist How from How and Nosm was allegedly involved in the incident. We will try to get to How and Nosm in an attempt to obtain their side of the story soon. Until then, it is only fair to provide the arrested party with a chance to share his take on the whole situation, and shed some light on this whole affair. So, without further ado, here is the unedited exclusive statement from Cope2 regarding his recent arrest. 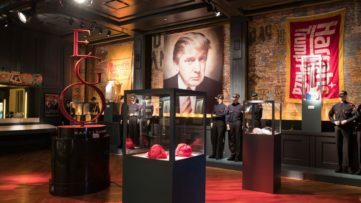 Read the statement in Cope2 Exclusive Statement for Widewalls After Arrest – Says How of How & Nosm Was Involved in the Incident! Starting with an interesting story about a mural painting in Dortmund, Germany, the acclaimed street artist MadC will share her experiences with Widewalls and its readers in the upcoming period. Make sure you stay tuned for more, as the first two parts are already out! Continue reading in MadC Diary – The Adventures of Mural Painting in Dortmund ! Although it attracts an enormous amount of visitors every single day Banksy’s theme park Dismaland is still far away from the capital. But the Londoners shouldn’t worry since they can now experience the spirit of the Bemusement Park in their own city which overnight became an open air exhibition space. What is it all about? 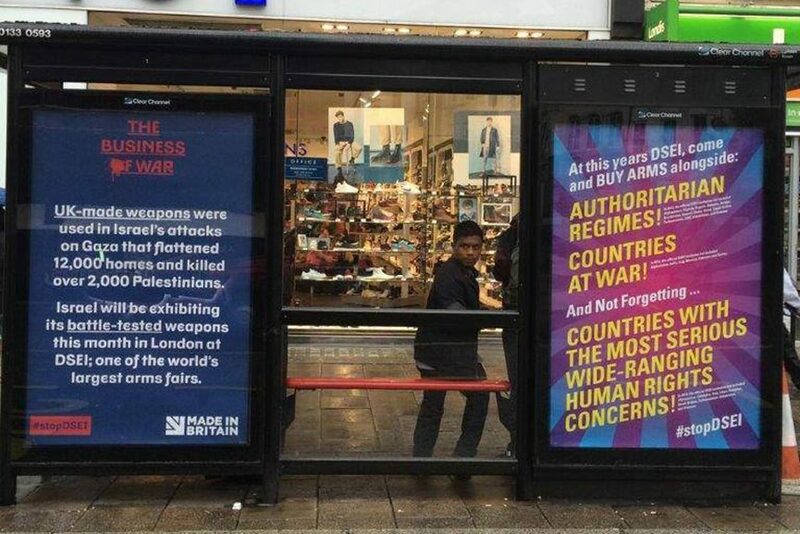 Well, just recently 300 posters made by the Dismaland artists just appeared on the streets of the UK capital, all over the public transport system protesting against DSEI Arms fair, one of the biggest events in the field of arms trade. For the rest of the story, go to Banksy Dismaland in London: 300 Artworks Appeared Across the City to Protest DSEI Arms Fair ! For more of the past – and the future – in art, sign up for My Widewalls today!